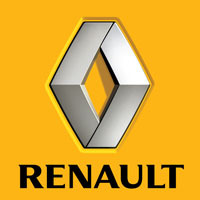 Protect your Renault from the harsh British elements with our UK manufactured and hand finished tailored car mats. Tough yet stylish and available in a wide range of colours to match any vehicle and taste, they are customisable right down to the stitching on the edge trim. Choose your own text or logo, or let us design one for you, and opt for 3mm or 5mm thick rubber depending on your driving habits. Available with a premium luxury wool twist pile carpet, cut from the original Renault template and supplied with all thefixings for a perfect and secure fit, our car mats are sure to match your own high standards. Covered by the manufacturer’s warranty, waterproof and fire resistant, our simple ordering system and rapid delivery ensure your satisfaction.